DAMNIT! You had me at montage of numerous longing glances and romanticizing shots of New York City and guys making cry faces (sometimes in the rain! SWOON!) and Alexis Bledel dramatically backing up against her apartment door, all of it edited together with “Your Ex-Lover Is Dead” by Stars as the soundtrack. How did you know songs that could be/or in fact are off The O.C. soundtrack are my inner-teenage-girl kryptonite? It’s just not fair! Don’t get me wrong. I’m all about Bryan Greenberg quietly pining after you, but–with the casual yet impeccable style as witnessed above–can we all just agree that Anna Chlumsky would make the best BFF (Best Friend Ferocious) ever? Yes, we can. But most important of all? More than carefully orchestrated trailer montages? Or hot, sensitive guys silently vying for your affection? Or fabulous glasses frames and perfectly tousled hair? It’s that The Good Guy trailer irrefutably proves what I’ve long suspected: Alexis Bledel movies are the new Mandy Moore movie, which is to say they’re the new natural habitat for the young gay male. 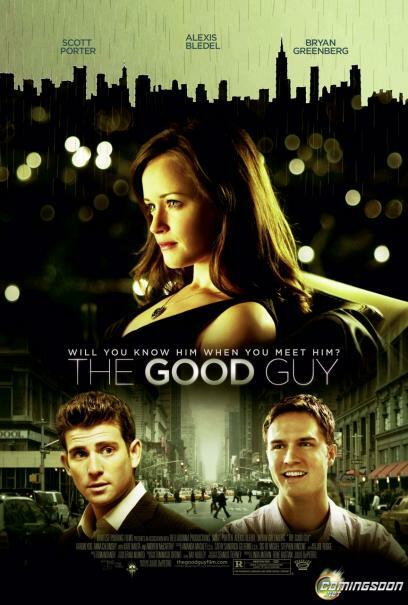 The Good Guy comes out in limited release February 19th. Don’t even front that you won’t be seeing it with your gay boyfriend. This entry was posted on Tuesday, January 26th, 2010 at 4:41 pm and is filed under Movies and Trailers. Tagged: Alexis Bledel, Andrew McCarthy, Anna Chlumsky, Bryan Greenberg, Homo Things, Imaginary Ovaries, New York, New York City, NYC, Quarter Life Crisis, Romantic Comedies, Scott Porter, Stars, The Good Guy, Your Ex-Lover Is Dead. You can feed this entry. You can leave a response, or trackback from your own site. We are so seeing this and squealing like schoolgirls. First off, am I the only one who thought that Alexis Bledel was younger than me? No way that girl’s 28. I had her pinned for 23. Second, you don’t have to be gay to like Mandy Moore. See: me in 19th grade English. politeness and timeliness have nothing to do with sexual orientation. sadly. it bothers me that alexis bledel is second to a no-name dude. i thought hollywood was becoming more progressive than that? or maybe that’s just for renee zellweger.